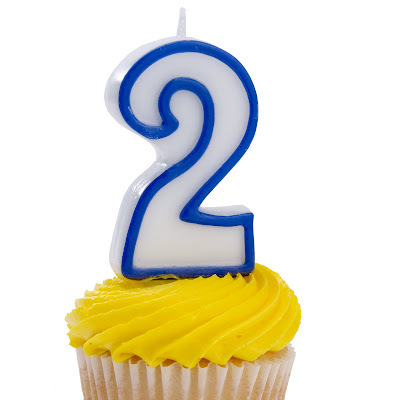 KZM Facial Care Boutique is two! We celebrated a wonderful 2 years over the weekend! Who knew back in July 2007 that this mom's fun little hobby would gain international attention and accolades, a recommendation in BODY + SOUL, and CCIC certification in their Leaping Bunny program in less than that time frame? Thank you to my fabulous customers! To celebrate, two products set to be released August 1st are in the shop and available now! Also celebrating....Chic & Green is also 2 now! I love how the blog has evolved from infrequent postings on my part to a blog with a focus (and 720 posts)--it's been so much fun for me. As always, thank you to my great readers for coming here to read each day. To make this even sweeter, on July 3rd, Chic & Green was named one of the best green blogs on the blogosphere by Best Green Blogs, based in the UK.